That's a great, great idea!" This small device is absolutely life-changing. It's really a miracle product." ​It’s perfect for kids who walk to school, teens on campus, and us parents who want to give them a secret weapon against anyone with ill intentions." A simple and effective product." The device has a hook that will sound an alarm when removed." Its 120-decibel siren will discourage anyone in your path." The tiny alarm for everyone." Could You Benefit From an Emergency Alarm? 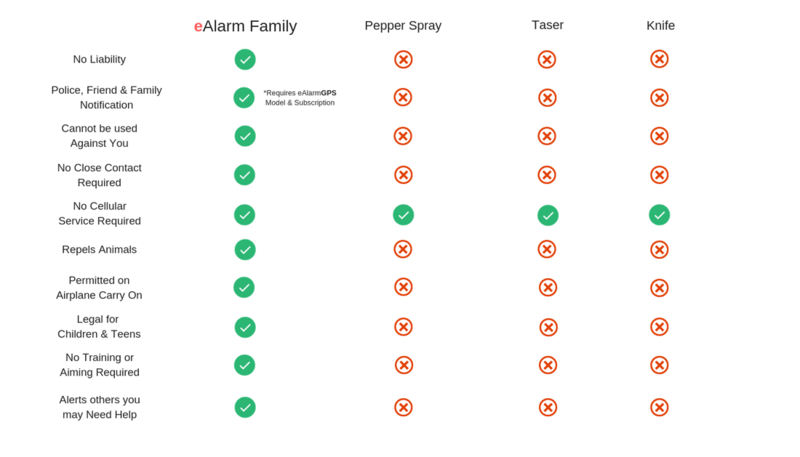 Although many people tend to think of alarms as being mainly used to protect property or to alert occupants to a threat, the reality is that a personal alarm can help to keep individuals safe in a wide range of circumstances. Our highly portable personal alarms have been specifically designed to provide carriers with a method of an almost instantaneous alert to the fact that you and others are under threat. Suitable for use almost anywhere, our alarm is extremely light and can be taken in hand luggage on planes as well as carried in a bag or pocket when out and about. We offer a suite of different devices, ensuring there is something for everybody! Each device is made using cutting-edge technology, enabling easy activation at the same time as providing a highly effective, audible deterrent and warning. Our personal alarms can be used for anything from an acoustic animal repellent to an intruder alert, warning of personal attack or powerful deterrent. Because they are small and discreet, they can be easily transported along with everyday possessions, both inside and outside the home. Each of our products is built to last from high-quality materials. FREE batteries are provided with each purchase: we normally expect your batteries to last for around five years. In the rare event that you are in any way dissatisfied with your emergency alarm, we offer a 100% satisfaction guarantee, as well as dedicated customer support all day, every day: any problems, give us a call and we will always do our best to assist. We hope that you never encounter an emergency, but are confident in the early detection and safety they provide! 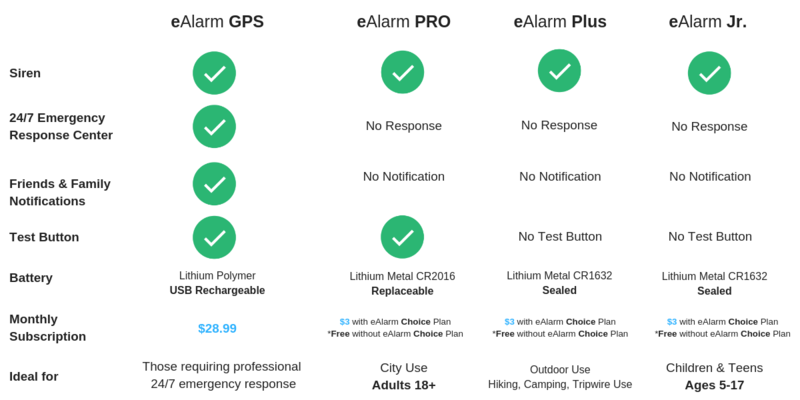 For many people, simply knowing that they have a powerful, dependable personal alarm in an easily accessible place about their person is enough to give them the reassurance they need that should they encounter a threat, whether at home, camping, at work or elsewhere, there is a powerful solution readily available. To place an order or for further information about our products, contact us using one of the methods indicated. Always ask your local law enforcement which safety solution is best suited for your needs. *Based on an independent study conducted by Tulane University.